As we all know, self-care is so important in this day and age as we are exposed to so many things that are detrimental to our health and well being. Whether it be our compromised food, environmental elements, or stress, we are forced to counteract the negative effects by committing to a healthy lifestyle. Often times this includes a regular practice of different healing modalities to maintain homeostasis in the body. 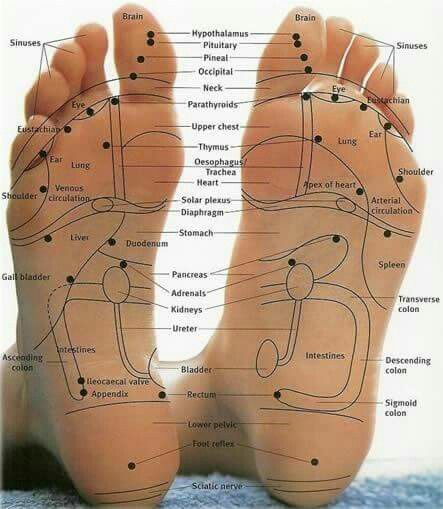 Reflexology is gaining recognition as one of the more profound ways to help balance the body. By working the reflex points in the hands and feet, a Reflexologist is able to stimulate different organs, glands and musculoskeletal parts of the body. It is truly like an internal massage. Relieves ‘Nerve Pain’ by calming down specific nerve endings. Helps Fight Fatigue by stimulating your pancreas and adrenal glands. Helps Digestion by stimulating your stomach and digestive organs. Promote Better Sleep by stimulating your pineal gland and triggering your parasympathetic nervous system. Improves Circulation by working the heart reflex and increasing lymphatic movement. At Therapeutic Bodywork each Reflexology session begins with a warm foot bath and takes place in a Zero Gravity Chair, with a heated Biomat beneath you. We also offer a CBD Enhanced Reflexology session to help combat pain and inflammation in the body. For a limited time, we are offering a complimentary upgrade to a CBD Reflexology session with Charlene.